We’re always doing our research into independence and accessibility. We like to take this research and implement it into our products so that they are easy to use, by as many differently abled people as possible. This is why we like to recognise when other companies in today’s world make their products more accessible as it’s a philosophy we share. 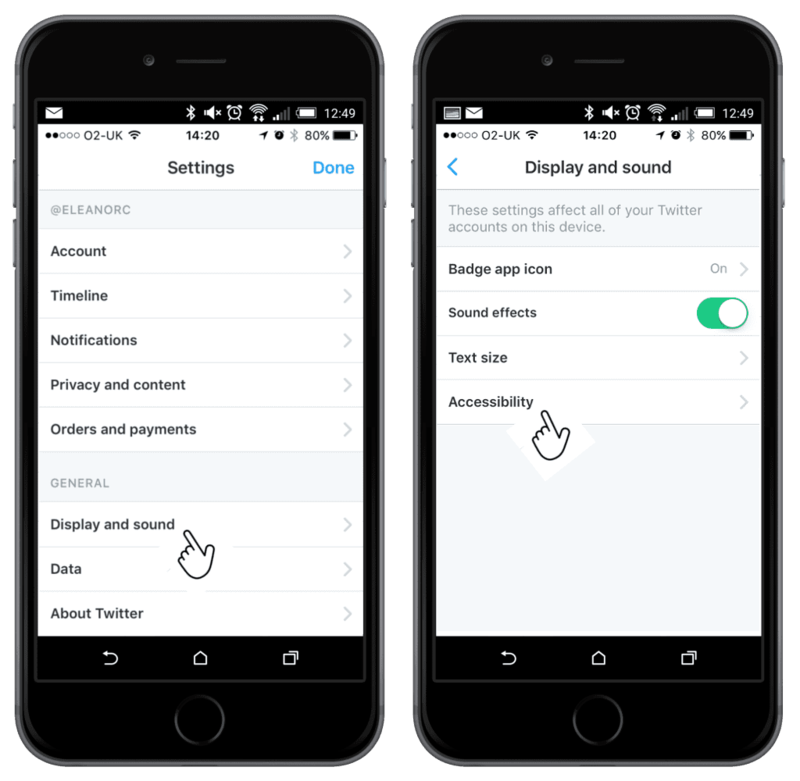 Twitter is one of those organisations that has taken a step forward, in particular for those with visual impairments. They have done this by combining accessible features with a popular, robust platform and also making leaps in the world of artificial intelligence (A.I). Currently, Twitter is used by millions of people worldwide. It is a place where people share what they are doing with their lives and also images that they take from around the world, or even in just their regular everyday life. In an attempt to get more people who live with disabilities more integrated and involved with their local and online communities, more and more companies are making their apps, or products accessible. Twitter has now used one of the latest technologies in A.I that can essentially read pictures, describing them out loud to somebody who lives with a visual impairment and may not be able to see the screen. 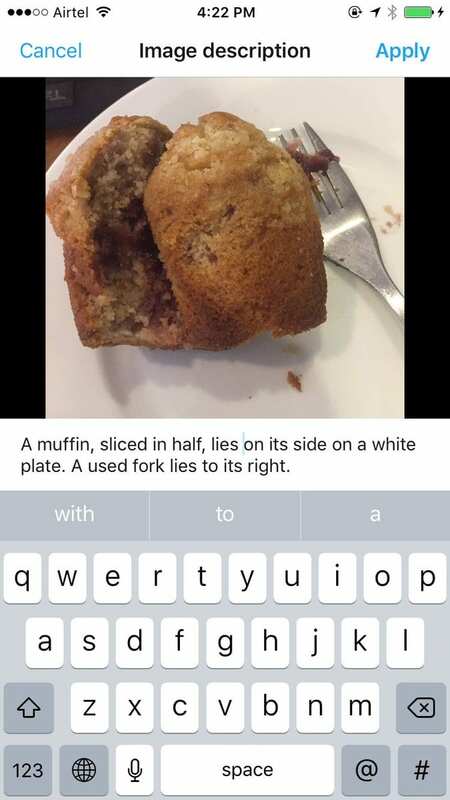 Now, of course A.I doesn’t have eyes, so how can it tell someone what is in the picture? Well, it recognises certain shapes, number of pixels in a certain area and colour to define certain objects, as well as inputted meta data. This technology has been a part of Twitter and most of the major social networks for a little while now, but using this feature to do more than just read our info for advertising purposes is a refreshing change! This great idea will broaden Twitter’s user database to include more people with vision restricting conditions and allow a group of people in society to be included in something that is social at its very essence. Enabling them to have their views and opinions heard and they can finally join the conversation. We’d like to say a big well done to Twitter for their efforts on this feature. What we try to do with our bathroom and kitchen products is make them more accessible for all. Our guides for designing bathrooms and kitchens for those with visual impairments are living testament to that research that we invest in our products so it’s always great to see other companies doing the same with their products. 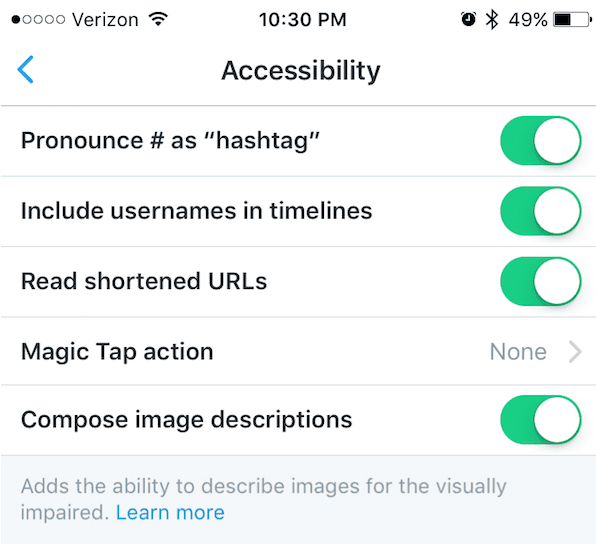 Nice one, Twitter – we love seeing you make waves in the world of accessibility and independence. Sadly, these functions are not turned on as default, so whether you’re a VI twitter user or not, we urge you to take the following steps so more and more users can join in.